Rung half muffled on the Eve of the Centerary of the Armistice of WWI. First submitted Saturday, 10 November 2018 at 20:25:32 by Samantha Gorman. 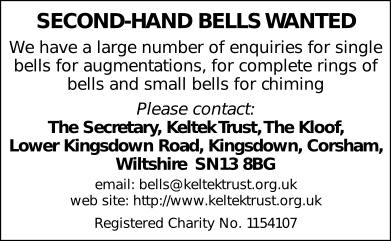 Sent for publication in The Ringing World on Thursday, 15 November 2018 at 23:28:31, and printed in issue 5614. This performance has been viewed 218 times.